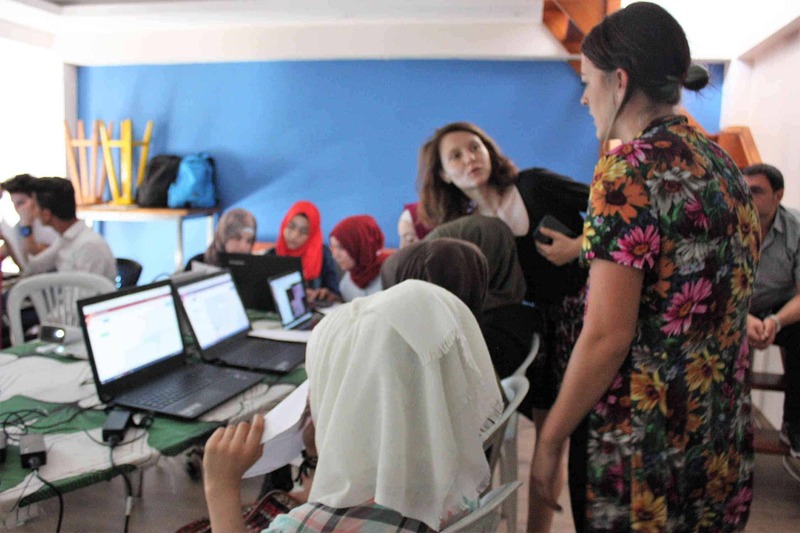 As part of HOT’s mission in Istanbul to grow the OpenStreetMap (OSM) community and to provide training to urban refugees to map their communities and help them be aware of, and gain access to services, team members carried out a multi-week training at the Small Projects Istanbul (SPI) community center. A group of 19 young students (ages 14-19 years) participated in the course, gaining computer and map literacy skills and getting exposure to OSM technologies and tools in the process. In Turkey, HOT is supporting the local OpenStreetMap community “Yer Çizenler Herkes İçin Haritacılık Derneği” (Turkish for “Mapping for Everyone Association”) to work on these activities. 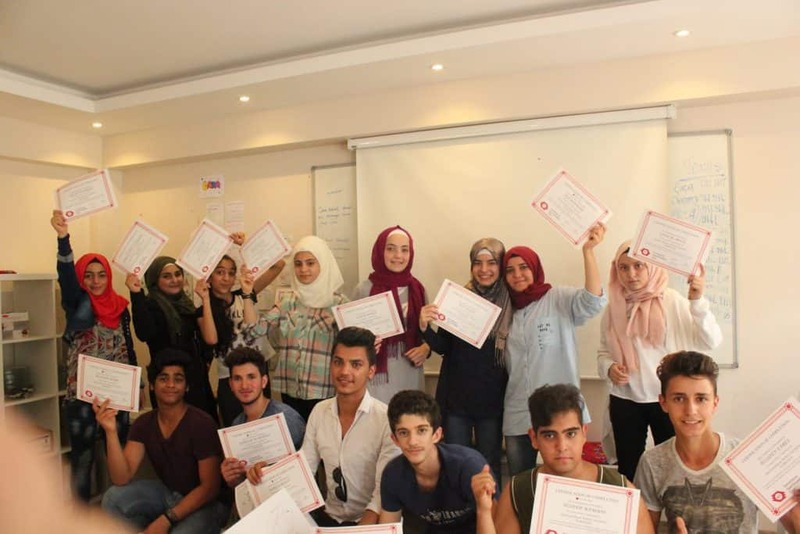 The course was specifically tailored to the needs, interests, and base understanding of the students to ensure that students remained engaged while gaining skills. It was divided into six three-hour sessions. The objective of the training was to give students basic knowledge and understanding of OSM, iD Editor, mobile mapping methods, and open mapping techniques and tools. In the first two training sessions, youth participants were introduced to concepts of open source data, GIS, and tagging. 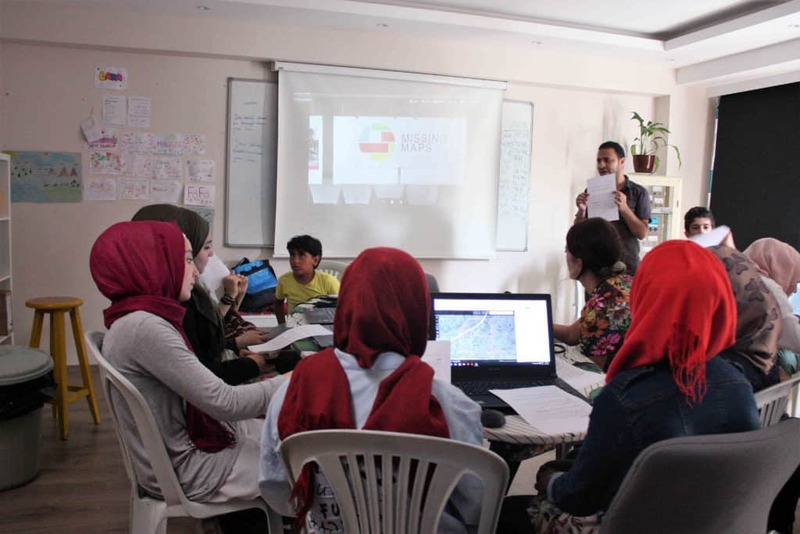 To familiarize them with the idea of how crowdsourced, volunteer based mapping can be used for immediate response to natural disasters and humanitarian programming, the team held two small mapathons during the training course. During the first mapathon, the team contributed to a malaria elimination campaign task in Laos, and the second mapathon focused on health program planning to counter the outbreak of diseases across the northern Nigeria. Students were excited to see how their work directly contributed to tangible impact in other corners of the world. HOT trainers used a whiteboard field mapping activity to make it easy for students to differentiate between remote and field mapping approaches. For this activity, the team projected Bing Aerial imagery of the neighborhood that the students live in onto a whiteboard, and students traced buildings and roads — allowing them to parallels to this process and remote mapping. Following this activity in the classroom, students went out in the same neighborhood and learned field mapping techniques with MAPS.Me and OSM Tracker. Building on this activity, the students and HOT trainers used the field mapping data collected to solve one of the center’s challenges — accessing the new SPI community center — and worked together to produce an access map to SPI’s new community center location. Many of the refugees the center serves had been facing issues reaching the center, as it was in a new location and was difficult to access. 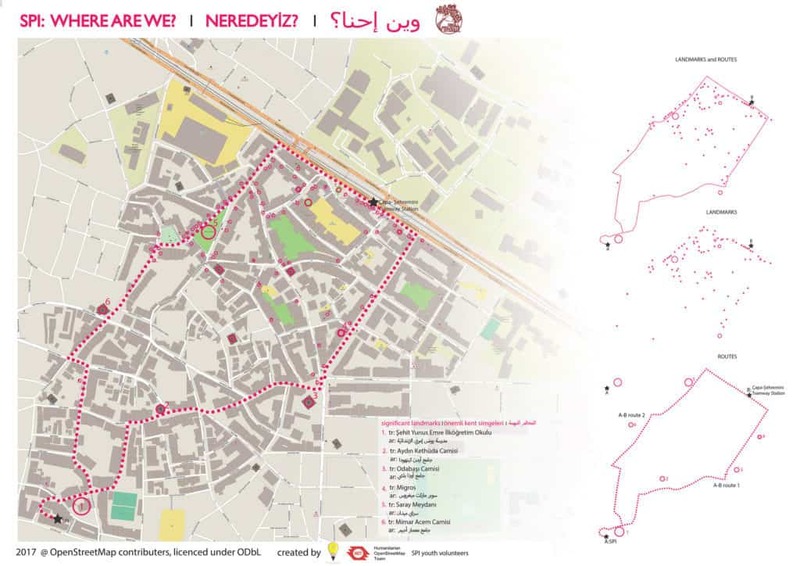 Using suggested routes to the center and major landmarks field mapped by student participants, HOT created a multilingual map in Turkish, English, and Arabic that SPI can distribute to beneficiaries and visitors. Upon completing the course, the team held a graduation ceremony and presented the map to SPI staff and students, along with certificates of completion for all participants. It was a great way to show students the practical application of the work they completed through the course, and their sense of pride and accomplishment was evident.